Korematsu v. United States was one of the few cases where the Supreme Court ruled that discrimination based on race is constitutional. Even though the court wrongly ruled against him, Korematsu's case demonstrates the importance of a dissent in a democratic society. His courageous stand strengthens our Constitution and the nation as a whole. He fought for his rights when the rest of the Japanese American population stood silent. His actions helped to secure equal justice for all Americans, regardless of our differences. 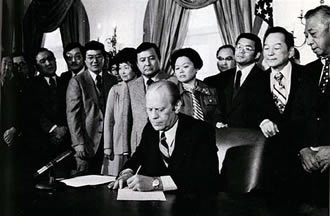 In January 1983, Irons, partnered with other lawyers filed a coram nobis petition (Reference Glossary) at the San Francisco Federal District Court, which reopened Korematsu's case. Judge Patel granted the petition. This vacated Korematsu's federal conviction. At one point, he was offered a pardon, but he said "I don't want a pardon. If anything I should be pardoning the government." 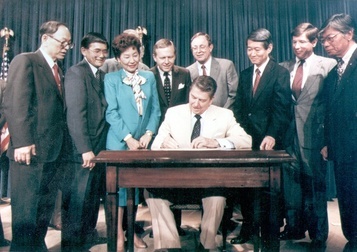 The Civil Liberties Act of 1988 delivered a formal apology letter and a $20,000 financial compensation to each survivor of the internment camps. 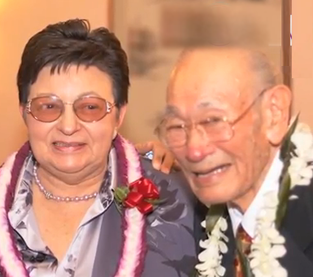 On March 30, 2005, Korematsu passed away at 86. 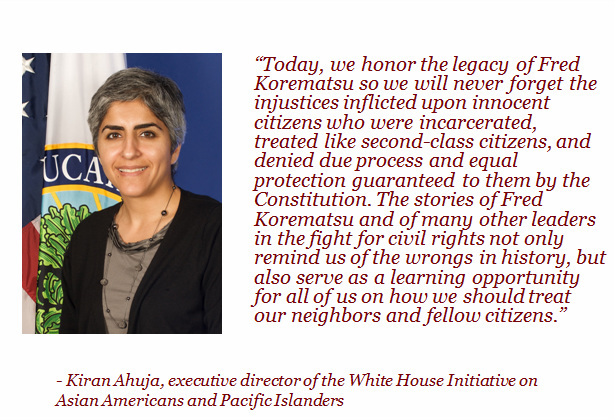 He is celebrated every January 30th - "Fred Korematsu Day of Civil Liberties and the Constitution."